After roughly a month of hiatus, I’m now back in doing figure reviews again (yey!) I’m really sorry since I’m super busy the past month and I also had my office renovated which you can check out here. 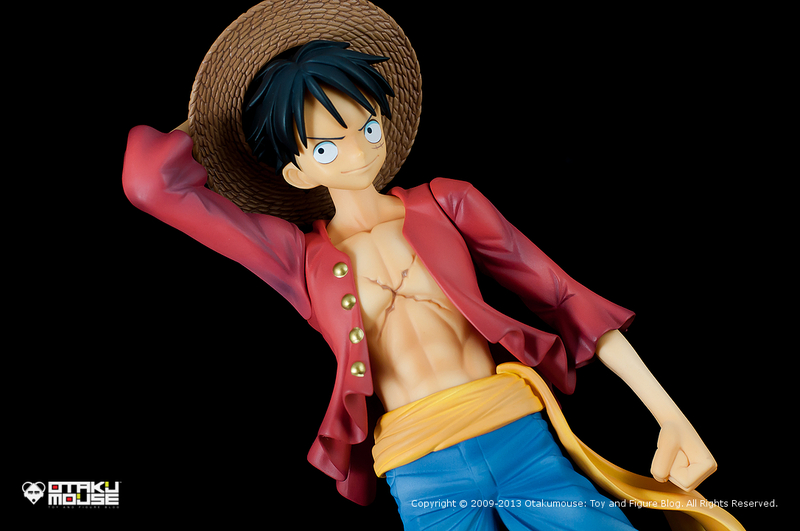 Anyway, I’m pretty much back to my regular “programming” and we will kickstart our new review with the awesome figure rendition of Luffy from the very popular anime and manga series, One Piece (ワンピース). Oh! Before I forgot, you’ll notice that the review page layout is kinda updated and it now uses bigger images. I’ll discuss this new option I implemented in OtakuPro V2.0 on a separate post. The anime also includes one major story element called “Devil Fruits”. These are forbidden fruits that when eaten, gives the eater unique and interesting abilities. 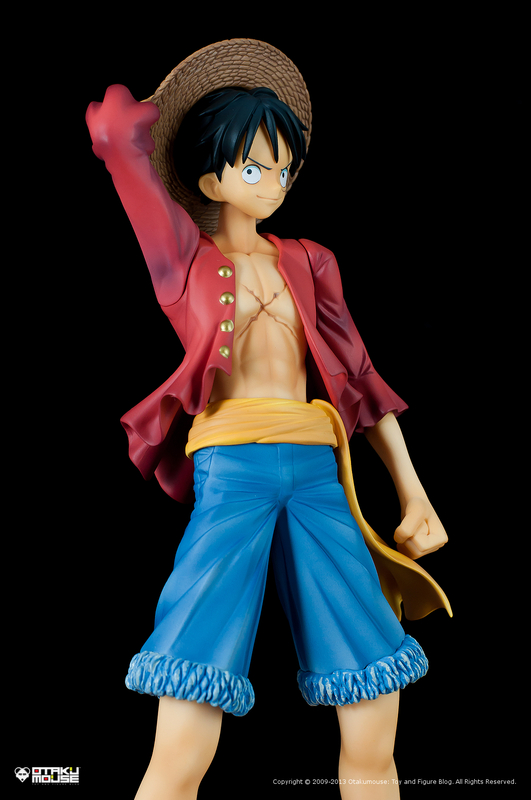 Take for example Luffy who accidentally ate the devil fruit called “Gomu Gomu no Mi” (Gum Gum fruit in English) which gave him “rubber” like abilities. A “Devil Fruit” user has a weakness though, they can’t swim. A pretty clever concept for an anime involving the seas. 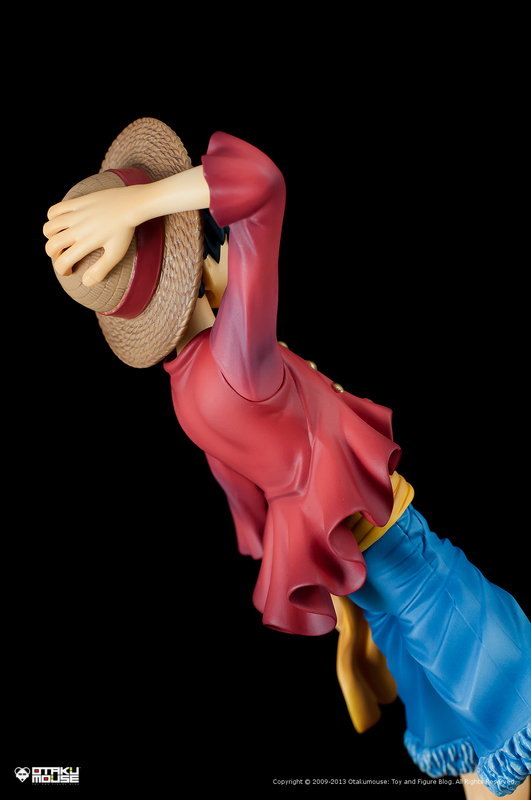 [four_star] The figure is scaled at 1/8 and is about 8.60 inches in height. The figure is quite huge for its scale (big is good). Up until now, I really don’t quite understand how this “scaling” works across figure manufacturers and how come the 1/8th scale of company X is much bigger than the 1/8th scale of company Y. 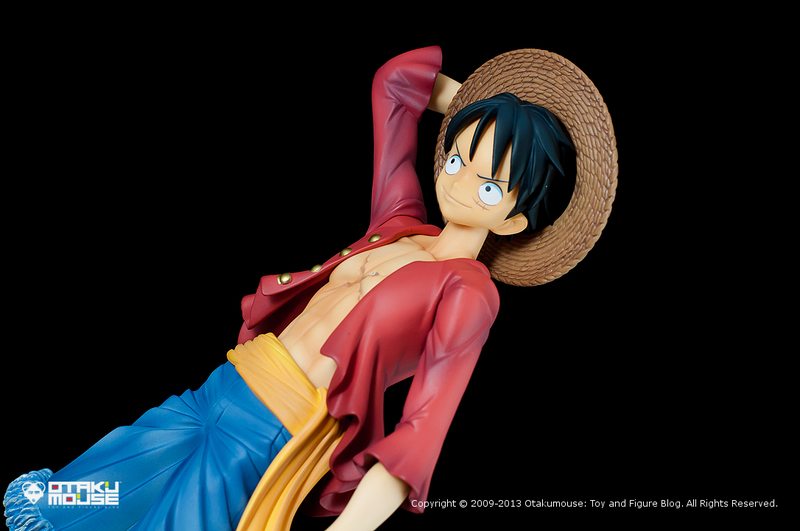 Anyway, going back to the figure, the figure is well sculpted. It has the same proportions and design style of it’s anime counterpart. My only comment is when it comes to the sculpt of his toes. It looks like his fingers (lol). 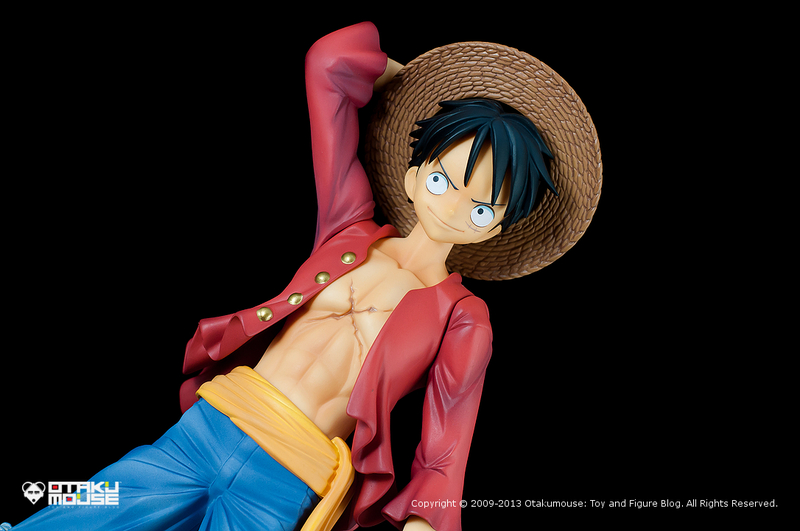 Figure details are top notch. 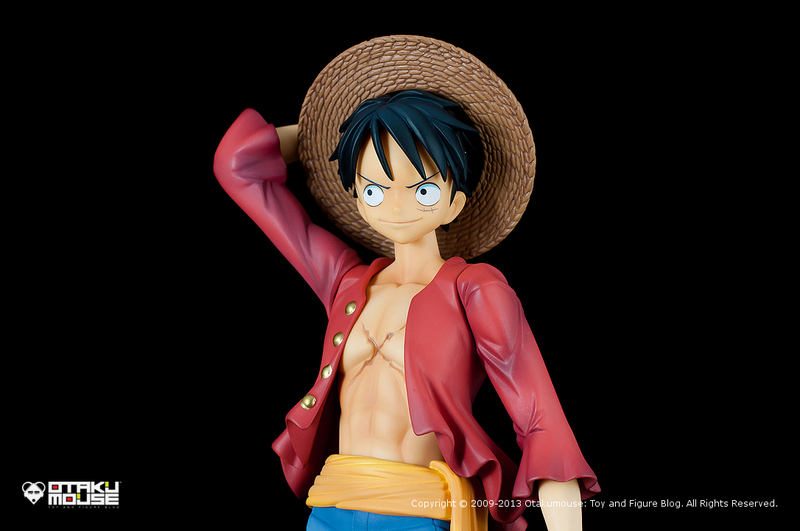 They made sure that the figure stays true to the original character design. 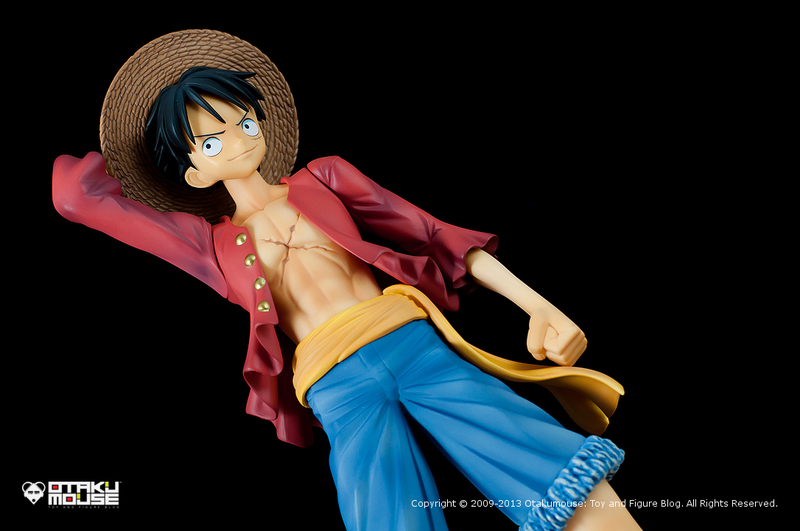 Notable character details like Luffy’s chest and facial scar were perfectly recreated into this figure. His outfit was very detailed with folds and creases that matches his pose. 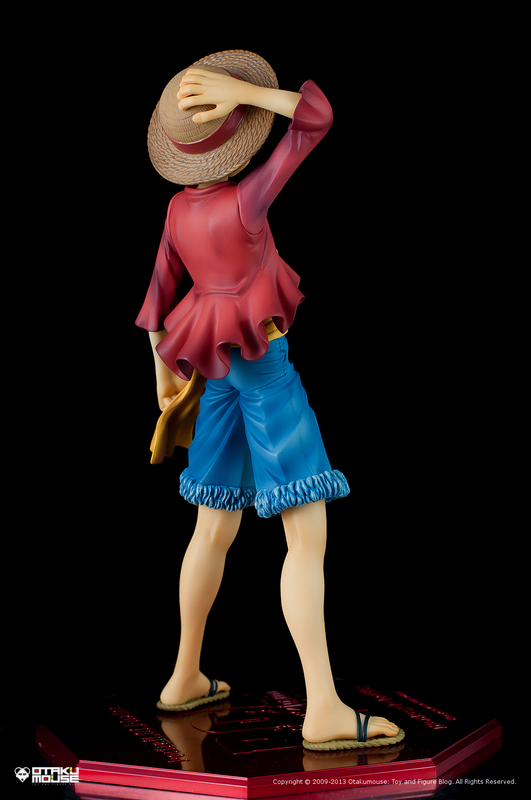 His signature “straw hat” was definitely the most detailed part of the figure. The individual straws of his hat can be clearly visualised. 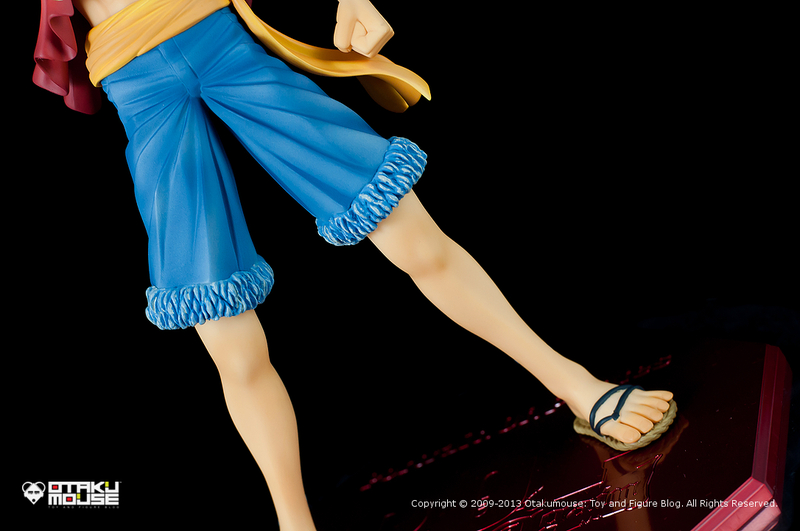 The details on his slippers are also pretty nice. 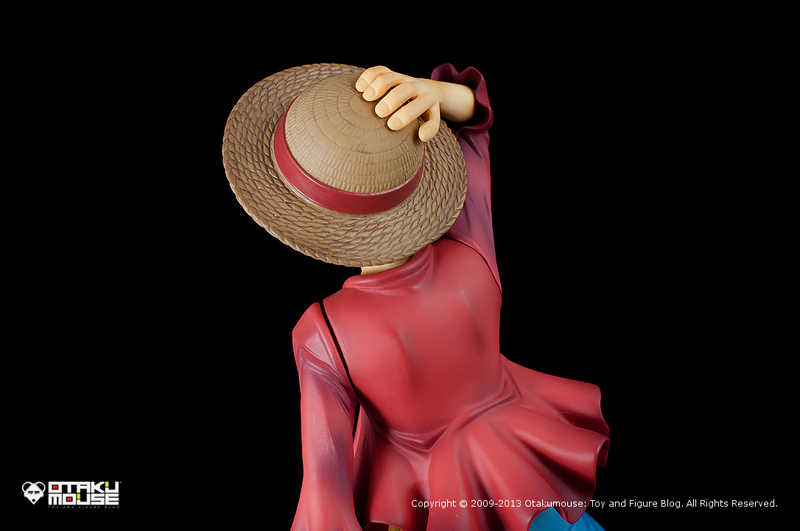 Micro details like skin wrinkles and finger nails can also be seen in the figure which is sometimes ignored by other figure manufacturers. 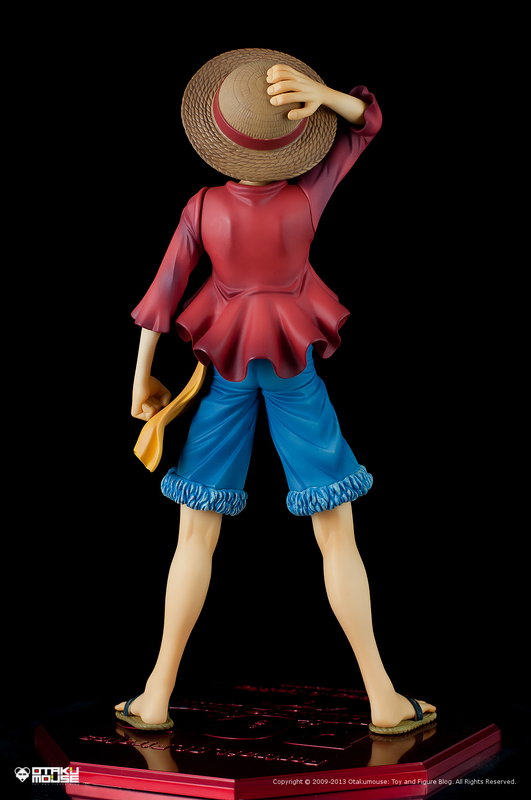 [four_star] Luffy’s paint job was pretty good. 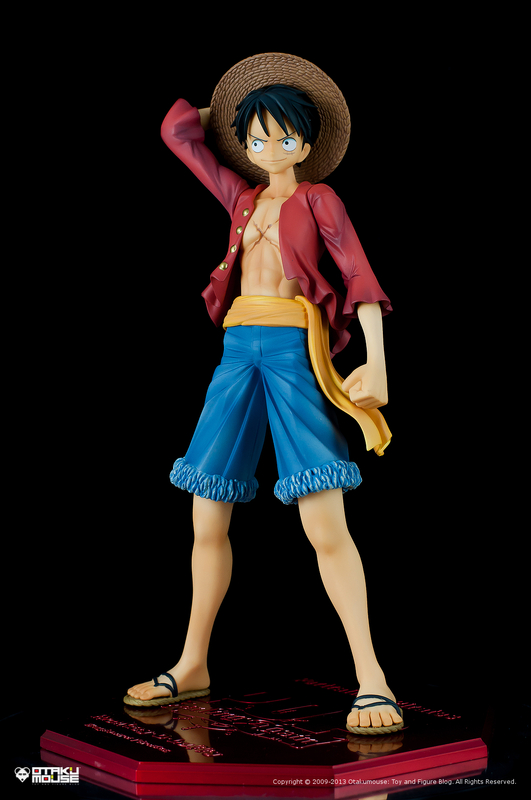 They accurately painted the figure using the character’s official colour palette. The perfect mix of colours when it comes to the shadows and highlights adds a lot of depth to the entire figure. 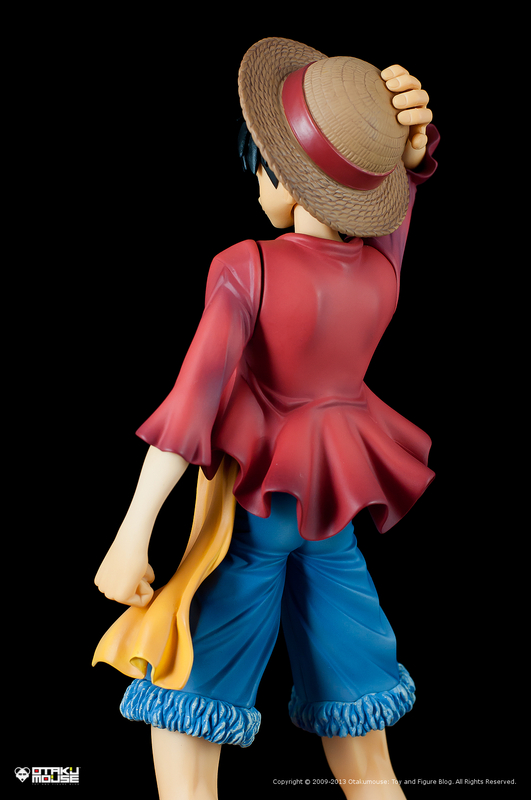 The skin was also nicely painted and it really accentuates Luffy’s muscular build. Minor figure details like the gold coated buttons on his shirt was also painted accurately. 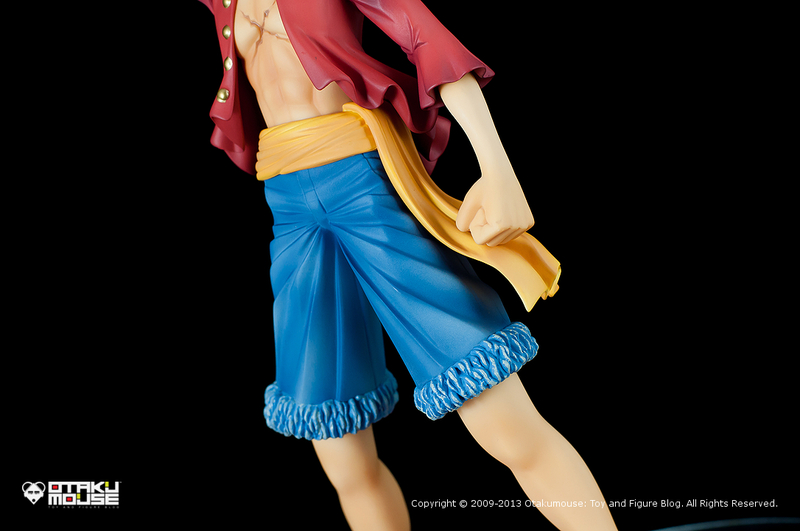 So far, upon closely examining the figure, I didn’t saw any major flaws when it comes to the figure’s paint job. If there’s something to improve in this department, then I guess it would be his slippers specifically the “strap” part since it’s kinda roughly painted. [five_star] I was really surprised by the amount of extra parts and accessories this figure has. I own other figures with extra parts too but this is the first time I saw a figure with extra parts designed to work well together. It means that the parts were designed to be mixed and matched and it basically depends on the pose or figure presentation you want to achieve. Although most of the extra parts were originally designed for a specific pose, you can still play around with the parts designed for the other poses as well. 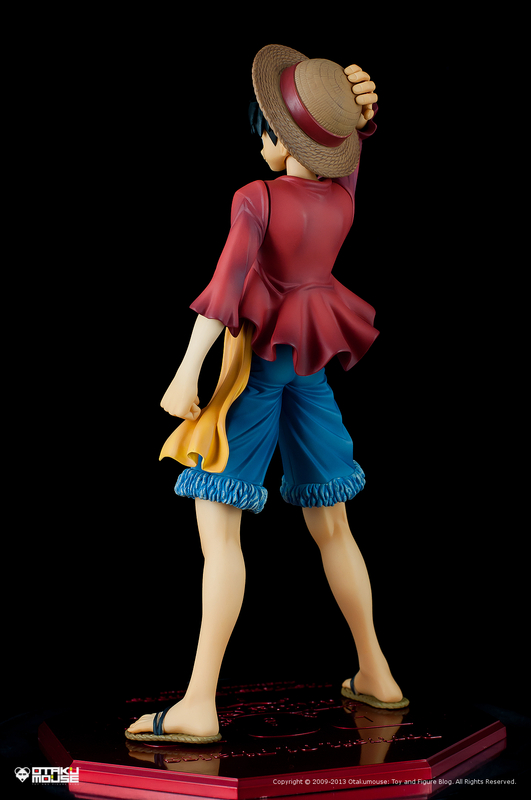 It’s really uncommon for fixed figures to have this kind of flexibility when it comes to customization and it’s a very good thing to have for figures like this. Of all the different parts and facial expressions available to this figure, the ones I used in this figure review were my favourites. I really like his pose on this one and I personally love how he holds his hat and how confident he looks. 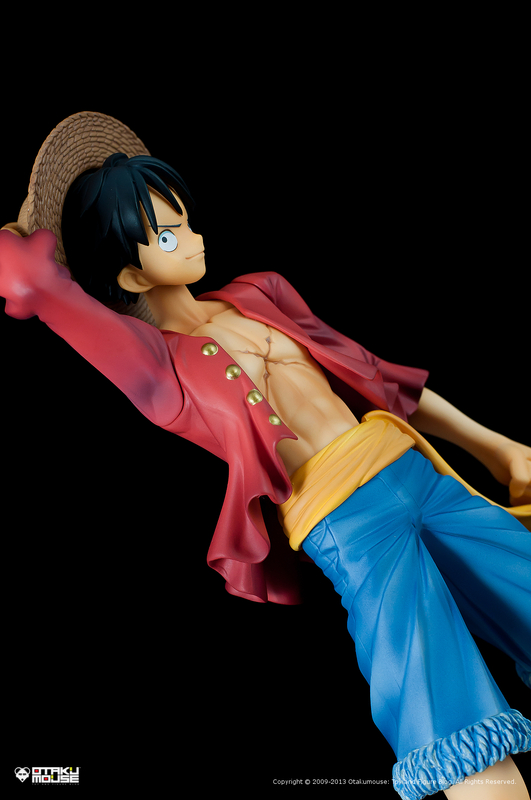 I would love to show you all the available parts/pose of this figure but I’m worried that I might break some of them in the process. The parts were tightly snapped to the figure’s body and you need to exert some force if you want to replace or remove it. 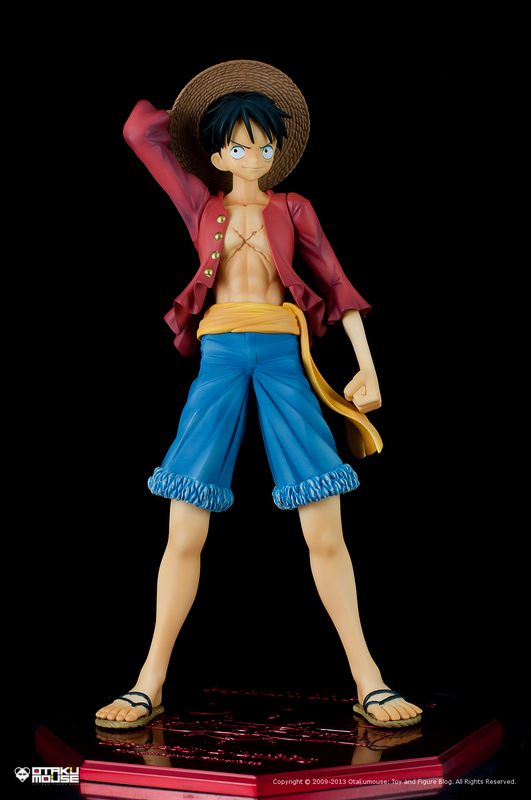 I’ll display Luffy this way (for now). And before I forgot, the figure’s head can also be rotated which is kinda cool. The head part of the figure was basically “ball jointed” making head articulations possible. 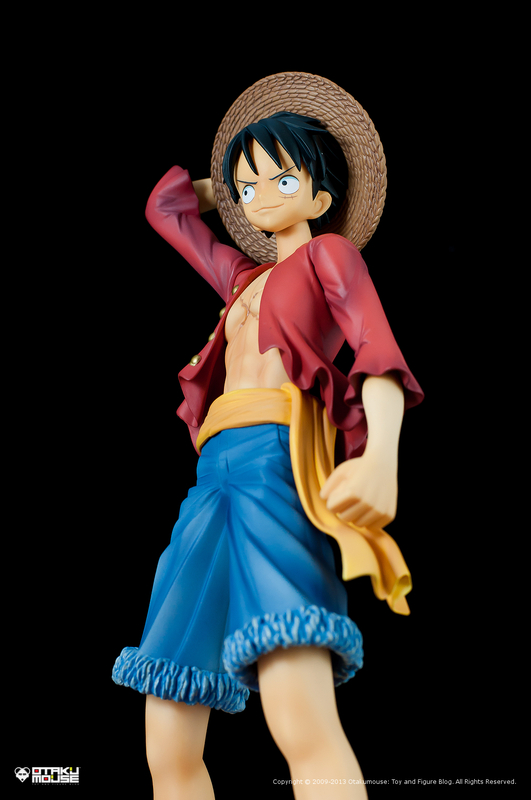 [four_star] I’m no veteran when it comes to One Piece figures and technically, this is the first time I ever owned one. 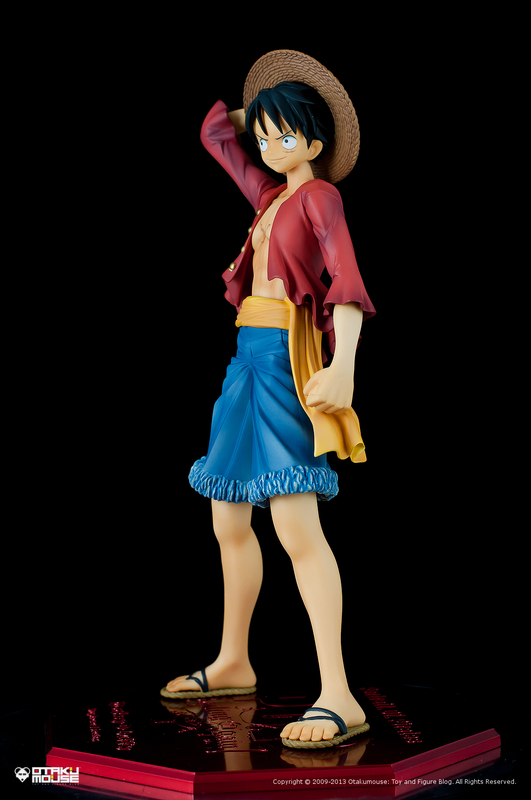 But based on my experience with this figure, I will definitely recommend this to anyone who loves Luffy or One Piece in general. 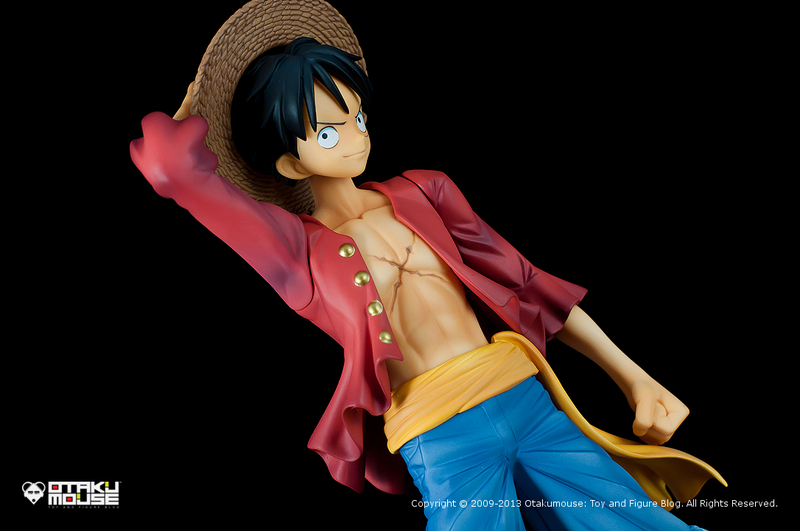 It has a high quality sculpt and an accurate paint job. 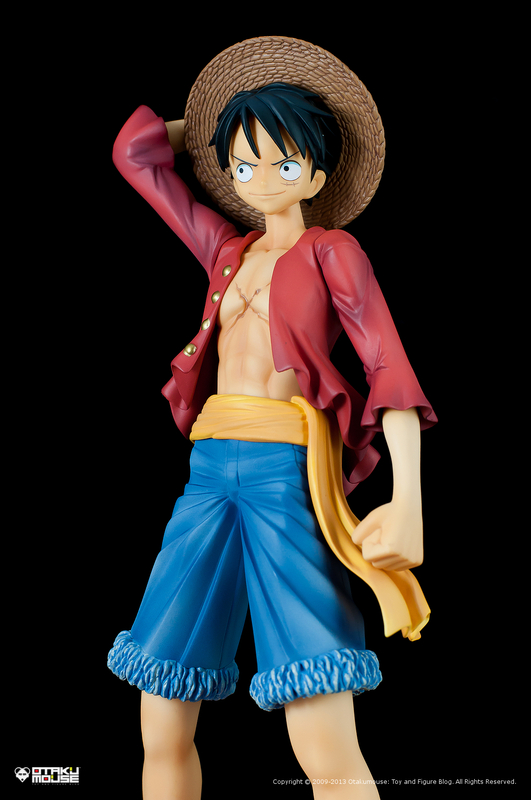 Figure also includes a LOT of optional parts and accessories which gives you the flexibility when customizing the figure to your liking. 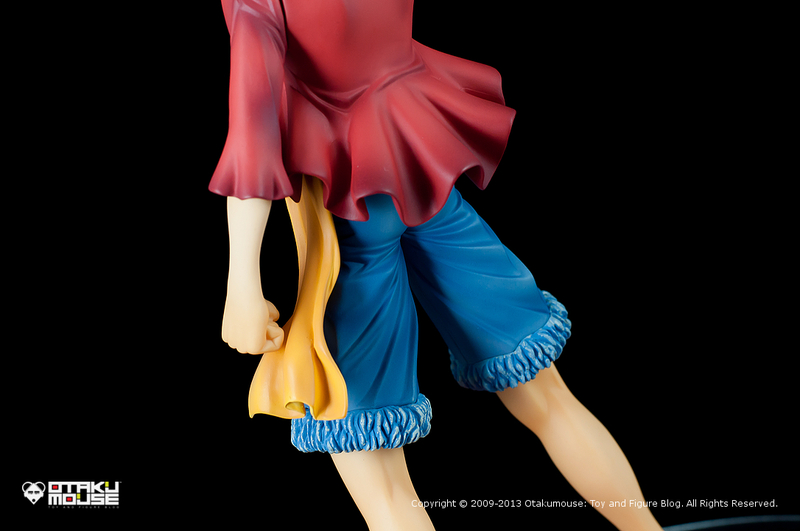 The figure was also “spot-on” to the original character design which is great. 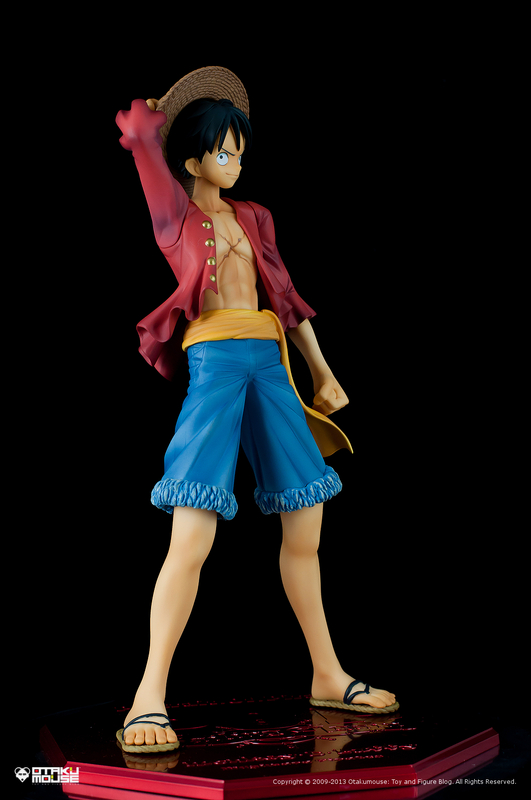 All of Luffy’s notable characteristics were all implemented perfectly into this figure. 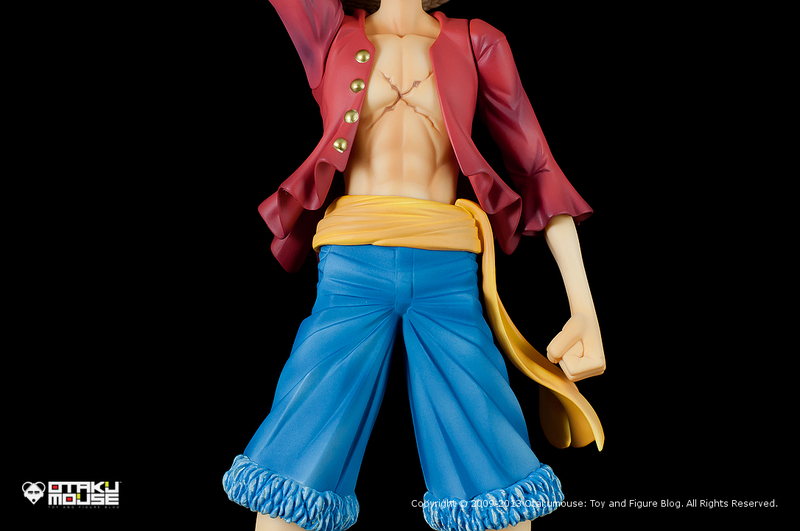 This is a great and a must have figure to any One Piece fans. Highly recommended. Just bumped into your blog whilst searching for something figure related. I’m digging your custom WordPress template man—it looks great! I’ll probably give it a spin on my WordPress blog when you do; assuming there aren’t too many bugs. My only criticism would be that the post body text is the least visible element on your pages. It’s a little jarring trying to read a post in light grey whilst neon coloured quotes, headings and images distract my eyes. Your posts don’t seem to contain much text though, so I suppose it’s not a significant problem.